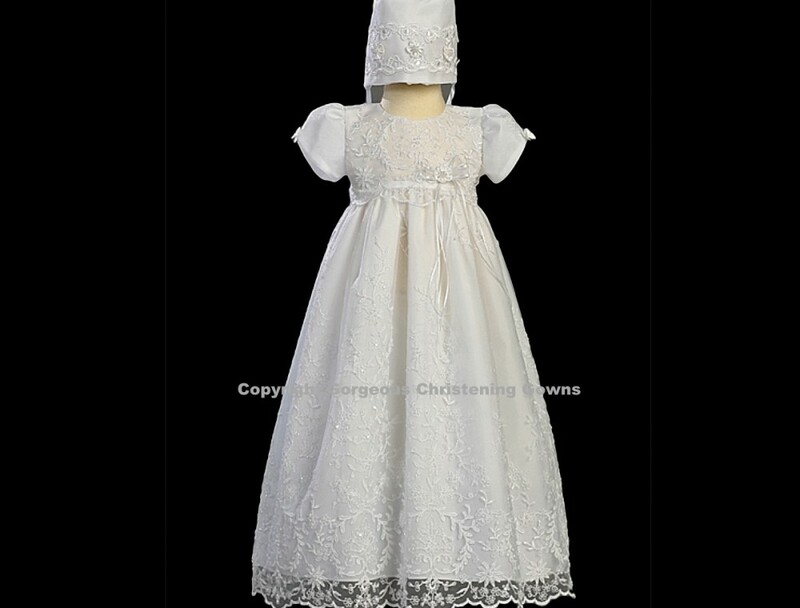 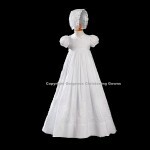 A beautiful embroidered tulle Christening Gown. 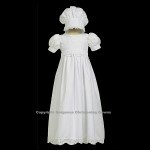 The fabric of this grown is embroidered and finished with beadwork. 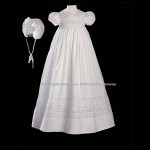 Ribbon bow at waist.